On March 19, a 44-year-old woman walked into the emergency room of Monrovia’s Redemption Hospital displaying Ebola-like symptoms. Hospital staff quickly isolated the patient and safely transported her to an Ebola treatment center. 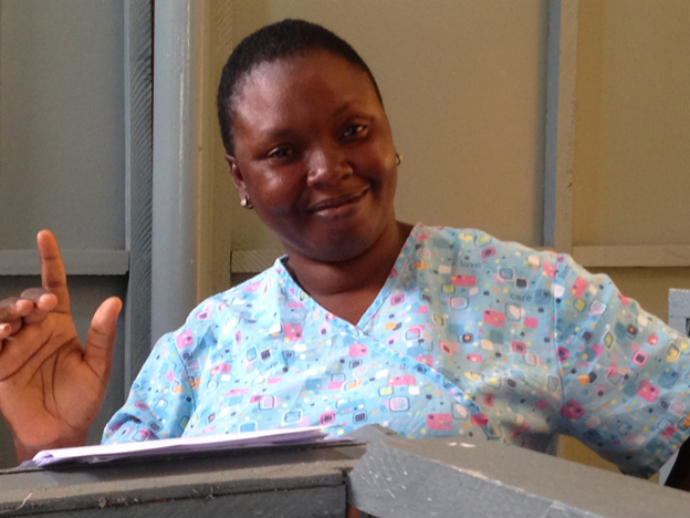 She would later test positive, becoming the first confirmed Ebola patient in Liberia after almost three weeks without a single case. The news dashed hopes that the country would soon be declared Ebola-free. But it also represented a small victory for Redemption Hospital—one of the county’s largest government-run facilities—which had once been considered ground zero for Liberia’s Ebola epidemic. The system works. 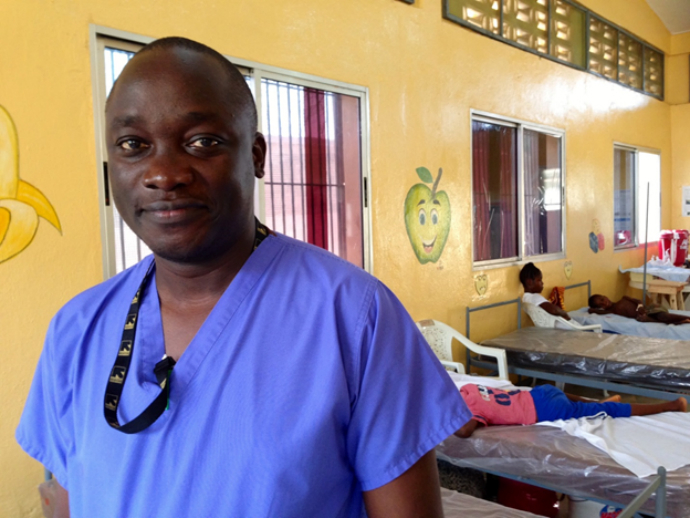 Redemption’s Dr. Jude Senkungu lost several friends and colleagues to the Ebola outbreak. “I think the first thing I felt was shock. Shock because you didn’t expect it to happen.” / Carol Han, USAID/OFDA. 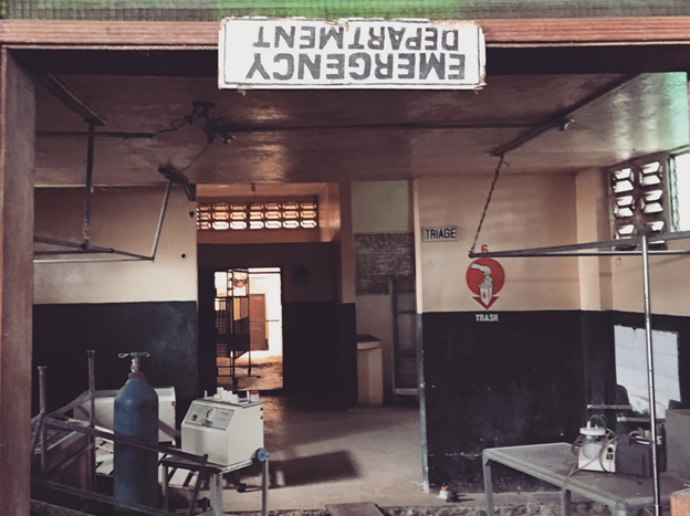 Ebola devastated an already struggling health system in Liberia. Before the outbreak, the country had approximately 100 doctors in the entire country and only about one health care worker for every 3,400 people. When Ebola hit, they bore the brunt of the impact, dying faster than the patients they were trying to save, according to the World Health Organization. Ebola killed more than 180 health care workers in Liberia, including eight at Redemption Hospital. Pediatrician Dr. Jude Senkungu knew all of them and even shared an apartment with one of the doctors who died. 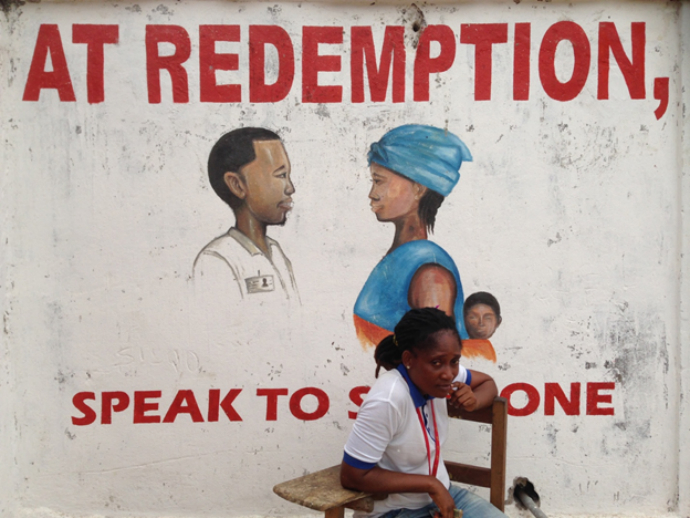 Redemption took on some of the earliest Ebola patients and soon had to shut down other medical services to handle an increasing number of cases. Senkungu didn’t get sick, but twelve others at the hospital became infected. As people kept dying, including more of their own, nurses and other hospital staff soon became overwhelmed and alarmed. Eventually, they stopped coming to work altogether, and the entire facility was forced to close. The once-bustling hospital became like a ghost town. 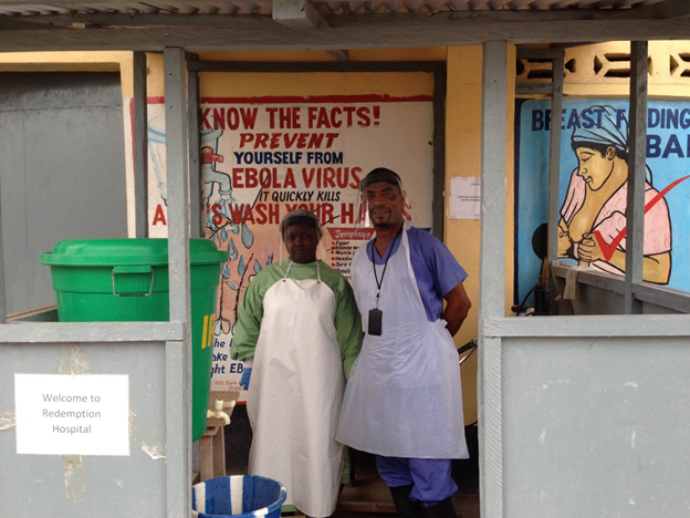 Throughout the Ebola response, USAID recognized the importance of restoring basic health services so that Liberia could better prevent, detect and respond to future outbreaks. 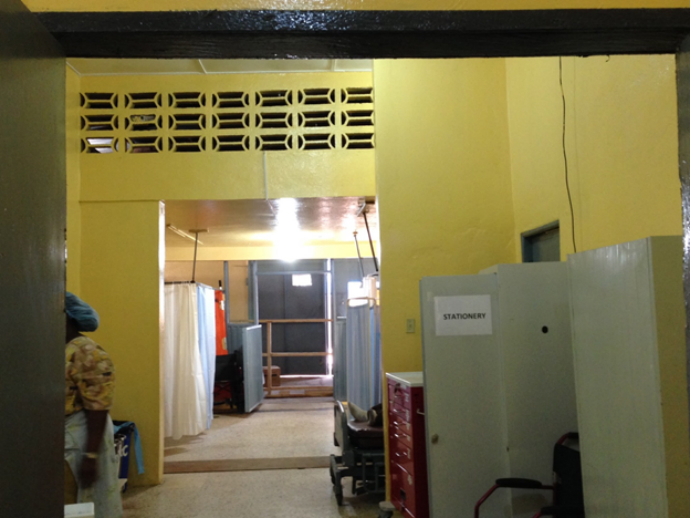 To make Liberia more resilient to Ebola and other infectious diseases, emergency measures used at Ebola treatment units had to be incorporated into daily hospital operating procedures. To tackle this at Redemption, USAID’s Office of U.S. Foreign Disaster Assistance partnered with an NGO called International Rescue Committee (IRC) to renovate and reopen the hospital’s emergency and pediatric wards. IRC got to work training health care staff on infection prevention and control measures–teaching effective disinfection and hygiene techniques, safe disposal of infectious materials, and the proper use of personal protective equipment (PPE), such as gloves, masks and gowns. IRC also revamped the hospital’s entire triage and inpatient areas, equipping every entrance with hand washing and disinfecting stations, as well as temperature checkpoints. Patient flow was rerouted so that people could be screened and sorted as quickly as possible. This is what happened on March 19 when the woman displaying Ebola symptoms walked into Redemption’s emergency room. Hospital staff followed proper protocols and safely isolated her without disrupting the rest of the hospital’s operations. Triage nurse Kula Quiqui says health care workers feel more confident than before the improvements were made. The community is feeling more confident, too. Outpatient numbers have returned to pre-Ebola levels with the hospital seeing about 1,000 patients a week. Births and Cesarean sections are also up. As for Senkungu, he says that being part of Redemption’s restoration process has helped him heal. Carol Han is a Press Officer with the Ebola Disaster Assistance Response Team, which is leading the U.S. government’s Ebola response efforts in West Africa. Check out more on our Ebola response efforts. 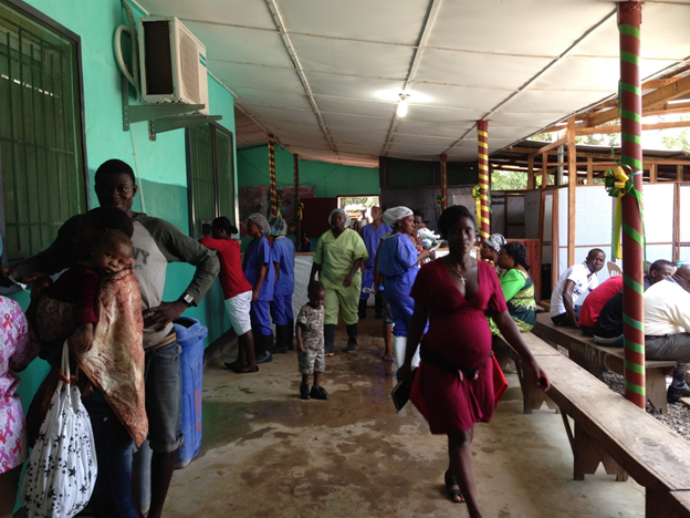 Read more about how we’re helping to rebuild Liberia’s health care system.